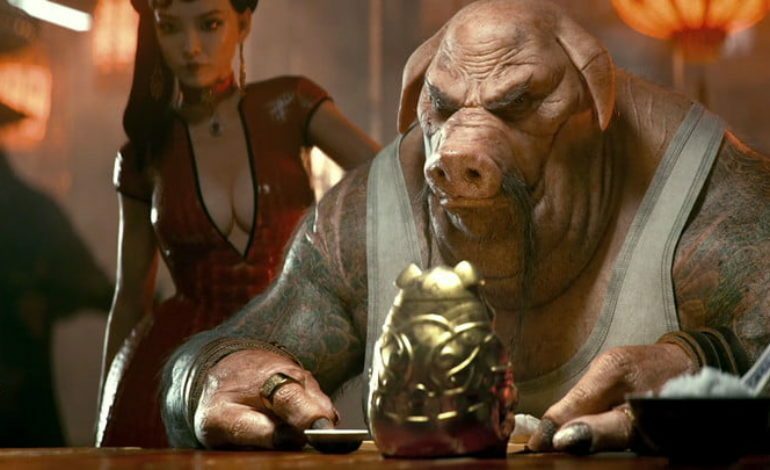 The sequel (that’s actually a prequel) to Ubisoft’s 2003 cult classic Beyond Good and Evil will be shown at E3 2018. Certain members of the game’s Space Monkey Program will also be given access to a private demo of the game. Journey to System 3, for the prequel to one of Ubisoft’s most beloved games! Fight alongside unforgettable characters in a stunning new solar system, as you struggle for freedom and the right to determine your own fate among the stars. Play the adventure by yourself or with friends in a vast and seamless online playground. Beyond Good and Evil 2 is the spiritual successor to the cult classic, a prequel that will transport players into a profoundly multicultural world, capturing the spirit of the original with grandiose decors and intense dramas that play out across a vast universe. Through the Space Monkey Program, Ubisoft Montpellier will be developing the game alongside its community of fans. System 3 has become the center of interstellar trade and colonization in the Milky Way of the 24th century, thanks to the creation of Hybrid slaves. While private enterprises fight over resources and power, the first colonists weave together the rich and diverse spiritual and cultural heritages of Old Earth to give meaning to their existence. In this new era of piracy, we will rise from lowly pirate to legendary captain at the helm of massive star-faring vessels, adventuring alongside crews of colorful characters to fight for freedom and the right to determine our own fate among the stars! Those who have signed up for Ubisoft’s Space Monkey Program, a way to follow the development of Beyond Good and Evil II, may get a shot at seeing a private demo and meet the development team. If you are part of the Space Monkey Program and RSVP here by 8:00 PM Pacific, you might be given a free Gamer Pass (free not counting costs for travel and accommodations) for entry to the Los Angeles Convention Center and access to the Beyond Good and Evil II demo area. While very little is still known about the game, we’ve seen pre-alpha footage of the game in action, and it certainly looks impressive. Assuming we don’t get a new console generation by the time it comes out, it will release on the Xbox One, PlayStation 4, and PC.